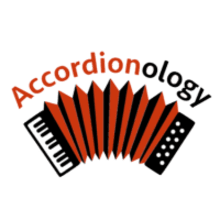 We love restoring accordions and getting to know folks who play them! We usually have about 20 vintage accordions (and a few new ones) for sale at the shop near downtown Decatur GA. When I started playing accordion >20 years ago I couldn't find anyone to tune or repair my own - so I learned how. Now it seems we're the only accordion-fixers folks can find in the area. We stay mighty busy fixing, appraising and selling these wonderfully analog, arcane musical contraptions.